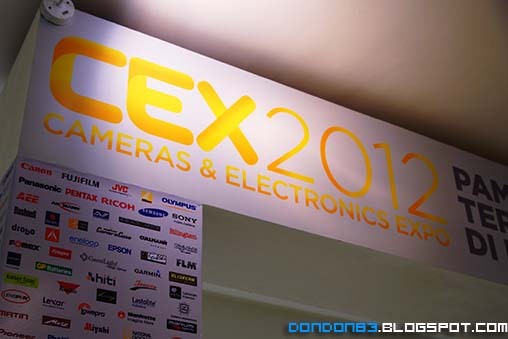 CEX2012 also known as the Cameras & Electronics Expo is held in Viva Home for the first time. let go check out is there anything interesting there. 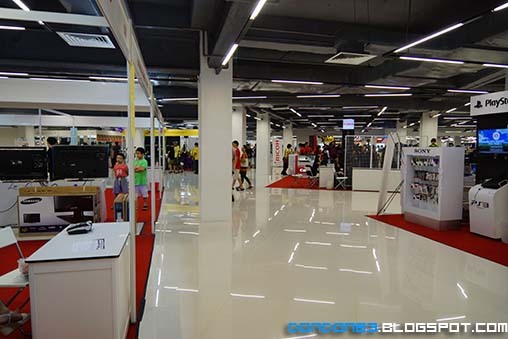 seem kinda empty.. way different compare to camera fair held in mid valley. kinda empty.. less people..
guess what i found there? 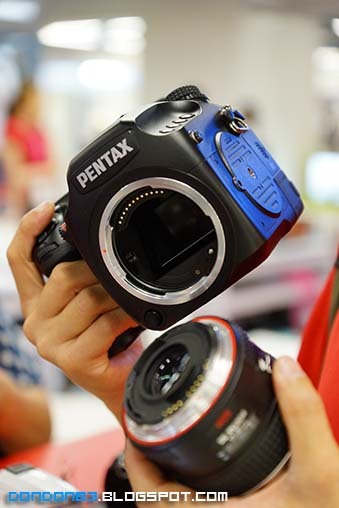 the Pentax 645D, it's a Medium Format Camera.. it quote RM35,888.00 at Shashinki. 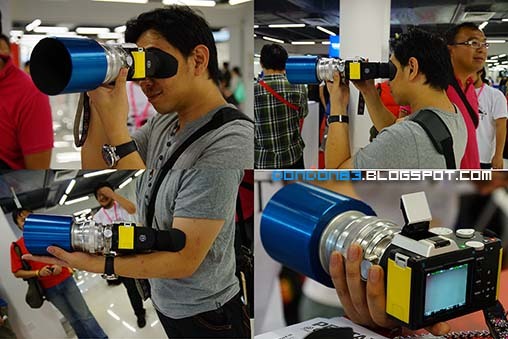 another camera you won't see everyday. should say different league camera. 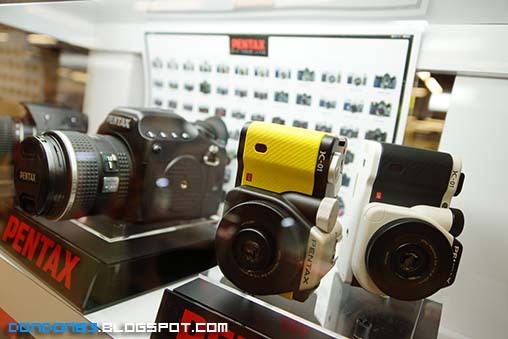 and striking yellow color camera, it's Pentax Mirror-less camera. 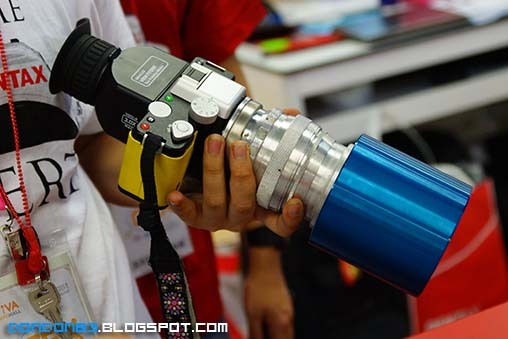 it has the very very very slim kit lens.. but.. it also have the thickest mirror-less camera body. 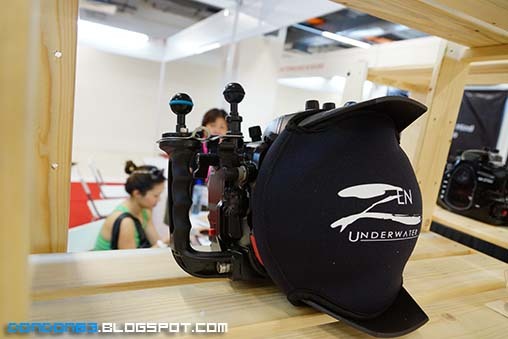 some others camera i spotted during the fair. 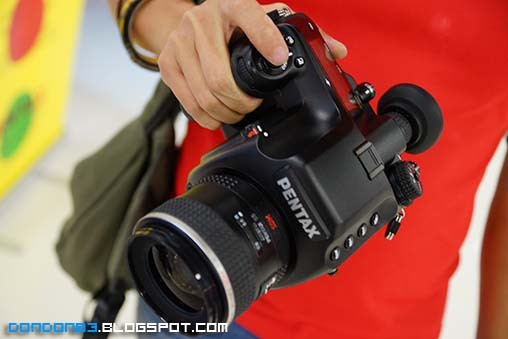 look at the Pentax new dlsr.. feel like go well with Subaru impreza blue. 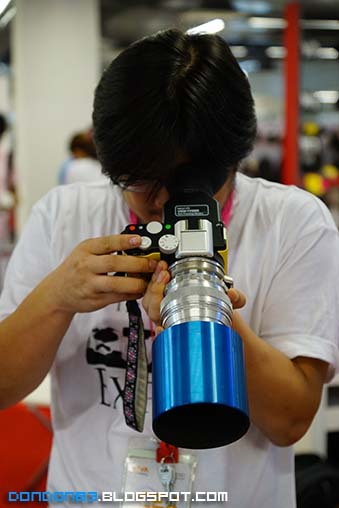 of course... where there is a photography fair, there will be a model shooting event. and this is the photography contest. red carpet is on the floor. 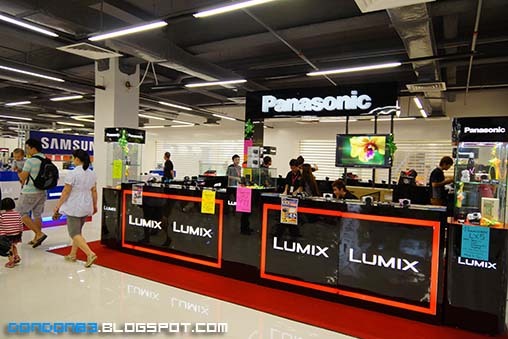 some shot of the Panasonic booth. 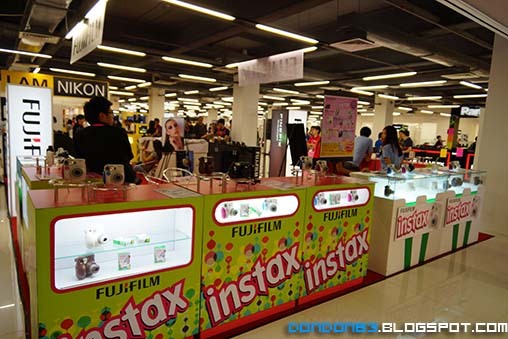 and Fujifilm Instax, instant photos camera. 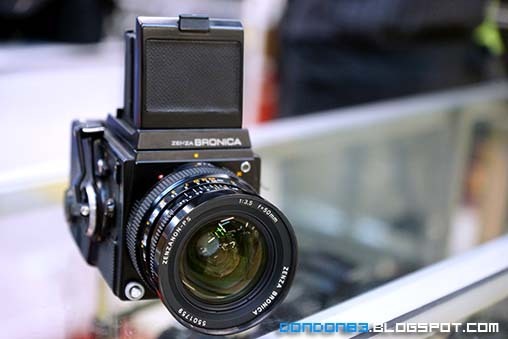 and spotted a Bronica Medium Format camera. it take films. 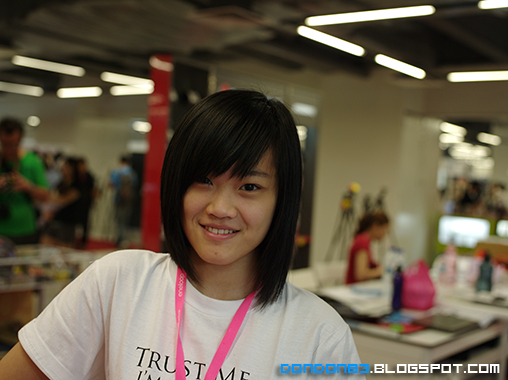 after a while, i meet up with jesster and Eass, and both of them are molesting the Pentax 645D. 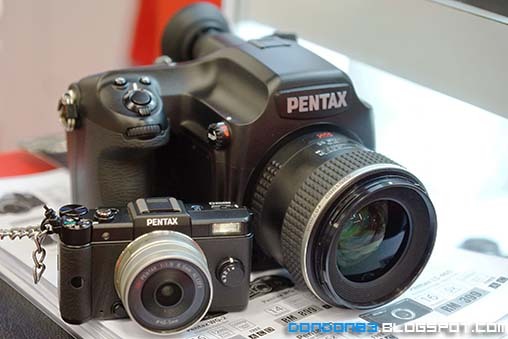 gosh..
Pentax Q the smallest Interchange camera and the Pentax 645D the Medium Format Camera.. when the tiny meet with the giant. 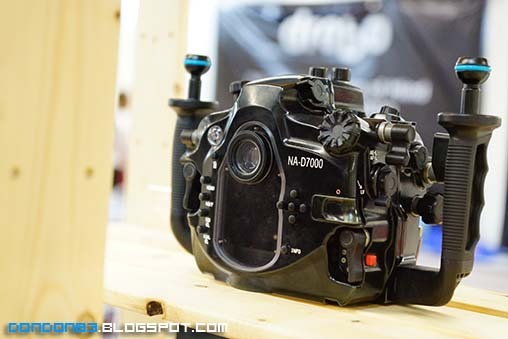 top view of the Pentax 645D. 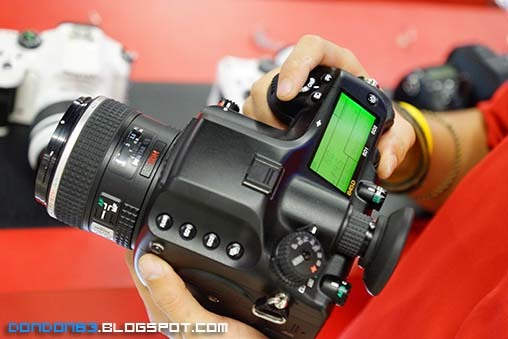 of this camera not only can use a interchangeable lens, it support interchangeable sensor back, mean can change the digital black if you wanted to. 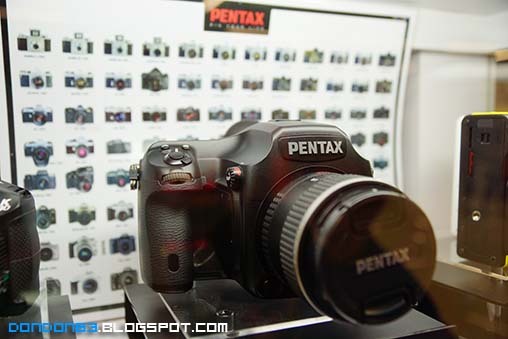 this is the photo taken with the Pentax 645D. resized version. hahahaha. 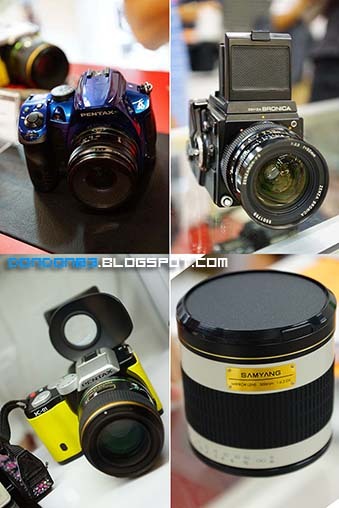 shining chrome blue hood, shining silver helios lens, striking yellow pentax K-01 body. no way people won't head back for this.